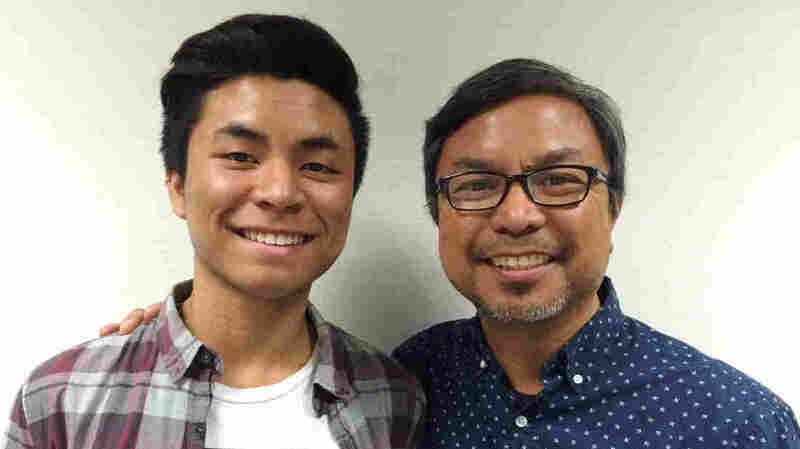 When His Son Came Out As Gay, This Pastor Delivered A Sermon Of Support Danny Cortez, once a Southern Baptist minister, did do more than accept his gay son: He decided to talk to his congregation about homosexuality, even though it ultimately meant his leaving the church. Drew and Danny Cortez, on a recent visit with StoryCorps in Cypress, Calif. The Rev. Danny Cortez is a pastor. He also has a son who recently came out as gay. And when his teenage son came out to him in 2014, he did something more than express his support: He decided to talk to his Southern Baptist congregation about it — even though doing so likely meant getting kicked out of the church. "That morning I came to church, my blood pressure was super high. 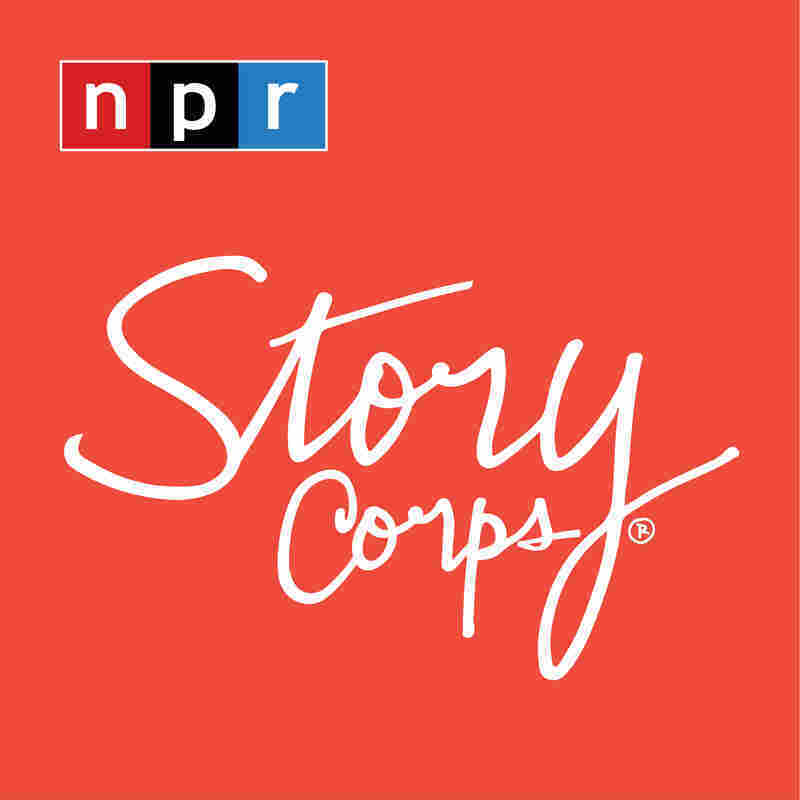 I felt so much stress, and everyone was wondering what's going on," Cortez recalls, on a recent visit with StoryCorps. "But I remember as I was speaking, I felt empowered like I hadn't felt in such a long time. I knew that what I was sharing that Sunday was important." What's more, his son Drew was there in the pews to listen. "I felt vulnerable," Drew says. "I just remember thinking what was going to happen after this. This is our life now." "And so when I was asked a question recently, 'How does it feel to know that you might be terminated in a few weeks?' I said, 'I'm at peace. I'm at peace because I know my heart has been enlarged.' "
"When I sat down," Danny says in his StoryCorps conversation, "I felt like this weight had just been lifted out of me, and people knew where we stood." When I was asked a question recently, 'How does it feel to know that you might be terminated in a few weeks?' I said, 'I'm at peace. I'm at peace because I know my heart has been enlarged.' "
At the same time, he says he kept in mind the fact that his son's struggle has been more difficult than this own. Drew, for his part, says he often felt regarded as a problem — even hearing his name paired with the word "abomination" in the same sentence. "As a father it was so difficult to hear that, because we felt like they didn't know our son," Danny says. "There's part of me that says, yes, I want to love people that disagree with me, who disagree with us. But the other part of me now is asking, 'But how can I do it in way that honors you?' "
As a result of Danny's sermon, the congregation split. Danny and other members went on to form an LGBT-inclusive, nondenominational church, separate from the Southern Baptist Conference. Audio produced for Weekend Edition by John White.